It does not take much, only 1,000 words, to prove five popular theories of World Trade Center destruction wrong. You might ask how I got this smart. True, I don’t look that smart. Here’s my secret: I bought Ph.D. engineer Judy Wood’s 9/11 textbook. You too can be brilliant about what happened in New York City on 9/11 for a mere $39.95 plus shipping and time to study it. You wanted an independent investigation and it has arrived. I did a radio interview recently to lay out how five facts prove the popular theories false. The host, Kevin Barrett, challenged only one of the five facts I offered, namely, the absence of loud blasts—no big booms from exploding bombs happened—a proposition supported by videos, witnesses, and the official report of NIST. An associated fact is that we have no evidence of loud screeching and screaming during destruction, which would happen if thousands of tons of massive steel beams sheered, collided, scraped and smashed to the ground, metal against metal, concrete against metal. (See Chapter 6 in the Wood text). Look up other conventional controlled demolitions, same story. The sound of a 110-story tower unraveling on 9/11 was more like a deep, continuous “whoosh” than a series of loud, concussive blasts. British 9/11 researcher Andrew Johnson (free pdf e-book here) studied the interviews of 502 first responders on 9/11 and found: “The repeated sequence of timed explosions heard during a controlled demolition is very distinctive and none of the witness accounts I studied described hearing this sort of sound as the towers collapsed.” Instead, witnesses described the collapses as possibly like the sound of an approaching plane or rocket: “You just heard this thrushing, thrushing noise like a rocket,” said Faisel Abed. “I thought the building was under attack again…’” (p. 99). The calculations showed that all the hypothetical blast scenarios and charge sizes would have broadcast significant sound levels from all of the building faces…approximately 130 dB to 140 dB at a distance of 1km (0.6 mile) from WTC 7…more than 10 times louder than being in front of the speakers at a rock concert…However, soundtracks from videos being recorded at the time of the collapse did not contain any sound as intense as would have accompanied such a blast. 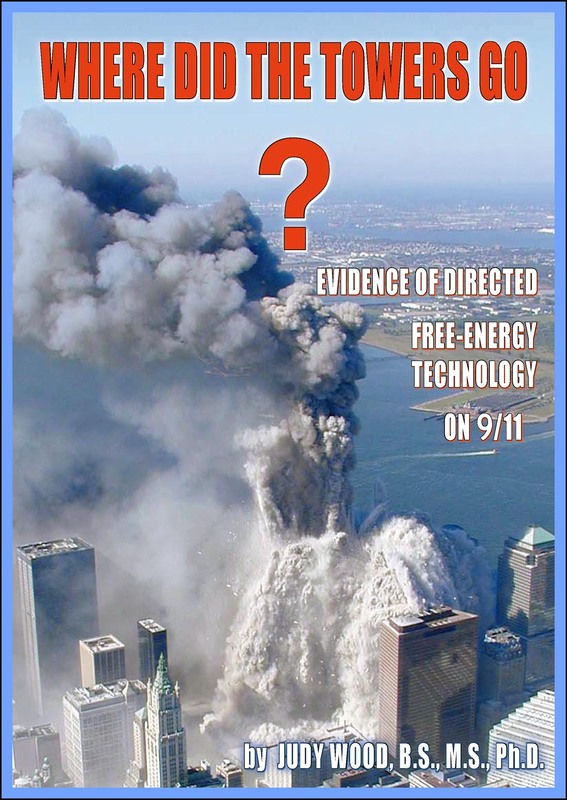 Sensibly enough, the NIST Investigation Team “concluded that there was no demolition-type blast that would have been intense enough to lead to the collapse of WTC 7 on September 11, 2001.” (p. 70 of 130). That doesn’t imply WTC 7 was not deliberately destroyed, only that conventional explosives were not responsible. “True, many witnesses reported hearing explosions,” Dr. Wood writes. “But the sound of an explosion does not necessarily mean a bomb was detonated. Everything that goes ‘boom’ is not necessarily a bomb. A raw egg cooked in a microwave oven explodes due to a steam expansion. When water is heated and becomes steam, it expands in volume by 1,600 times” (p. 110). Scott Paks are a brand name for a Self-Contained Breathing Apparatus worn by rescue workers, firefighters and others to provide portable, breathable air in a hostile environment. “The Scott cylinders and the oxygen cylinders were all letting go,” said Firefighter Todd Heaney. “They were all blowing up left and right.” (p. 110). Cars were blowing up too: “I remember too, the cars started to explode inside the parking lot,” said EMT Michael D’Angelo. “I mean, the cars started cooking off, they started going off, boom, boom, boom, boom.” (p. 111). During destruction, squibs or “squirts” were seen in the towers, squirting out in advance of the dustification wave front as each tower unraveled downward. Bombs? No, likely it was pressurized containers within the towers giving way during disintegration because of liquids or gas expanding under stress and/or weakening their pressure vessels, such as water tanks. “Big explosive booms” did not happen that day, but most debris was missing too (no pile or “stack”), the bathtub remained unbroken, and seismic impact was nil. Why? These huge buildings turned to dust in mid-air. These facts contradict every popular explanation: jet fuel and office fires in the upper floors, conventional controlled demolition, thermite cutter charges, conventional explosives and nuclear bombs. Unfortunately, most 9/11 “truth” leaders and researchers still push thermite, conventional explosives and nukes as the weapons used to destroy the WTC. They mislead. No surprise. Isn’t that what they were hired to do? @Crazy One, you don’t have to pay anything for truth. Go visit Dr. Wood’s website and research. Or find a used copy somewhere. She has an extensive website. She’s not going to find work easily after countering the mainstream, official conclusions of that day. How is she supposed to exist if she can’t make money to eat and pay rent? If you add value you should get rewarded for it. Huffing about someone charging for a book when writing it was a livelihood exercise is like a boss complaining he has to pay his workers a living wage for their effort and labor. Dr. Judy Wood’s theories can’t be ignored (Dustification). I hope there’s an investigation before they completely destroy America… they’re already at that point, now. I kinda miss the Dimitri Khalezov explanation. Mister Khalezov also explained, that no nukes where used. Not only is there a large amount of testimony for bombs going off, there are indeed recordings of bombs going off. One has to consider the capabilities of microphones that are too close to loud blasts as well. Most mic set-ups have a damper that clips sounds at a certain db. All in all I remain unconvinced from this article. Al that goes BOOM! is not a bomb. All debris that thrusts outward is not caused by a bomb. Right on, that’s what hybridrogue1 and many others fail to understand. Put an egg in your microwave, press start and BOOM! yet an egg is not a bomb. Scott Paks and cars exploded during WTC destruction and they are not bombs. Bombs do not account for the WTC evidence. architecture. if you were to enter these stats into the worlds most powerful computer and asked it for the odds of such an occurrence, it would come back in the zillions to one! the right time. in the case of random fires?, absolutely preposterous! are left with no another conclusion than a ” manufactured operation” no doubt at all. stake for this admin or future admins to even contemplate another investigation. No matter how you slice it, 9/11 was an inside job. The official government explanation violates the laws of physics. It wasn’t “blowback” by some angry Arabs. It was state sponsored terrorism. There was a massive cover-up. We can speculate about the exact method or technology used, but we are just wasting our time and energy, thus only helping the bastards who did this and who are still running the country and still keeping the cover on. Let’s start by impeaching Obama for all his crimes and we will come to 9/11. Meaning that it would _not_ “have taken an immense number of blasts, topdown, throughout the towers, given their massive size and strength, to bring them down and smash them into chunks.” as you claim, because in real life, it is never done that way. Conventional bottom-up demolition, as required in _all_ tall building demolitions, where the necessarily far stronger base is taken out first, so that the weaker and lighter floors above can easily collapse downwards upon it and themselves, was all that was necessary, with no more than the usual amount of explosives required for a building of the dimensions and structure of either WTC tower. If you are referring specifically to the 9/11 tower MSM or “amateur” destruction videos, watching them [or even listening to them! ] is a complete waste of time because they are all fraudulent, nothing more than computerized movie graphics essentially no different from the Hollywood movie “Independence Day”. This includes all 7 of the claimed “real” WTC videos you have linked to at the top of this very blog entry. If, on the other hand, you were instead referring to _non_ 9/11 tower collapse video sequences, then I have already provided a link to a video record of a typical [i.e. bottom up] tall building demolition , and also a link to a site that explains exactly why, for scientific reasons, to be effective, all tall building destruct demolition sequences start from the bottom of the building and proceed upwards. Evidently you can fly as many planes you like into the weak tops C of, e.g., WTC type NY skyscrapers and nothing will ever happen to the much stronger, intact bottoms A of same WTC type skyscrapers keeping the tops C in place in the first place. Damaging anything up top will never crush down, globally collapse the intact, much stronger bottom. Only terrorists and gangsters and their supporters believe otherwise so it seems there are plenty of those gangsters and terrorists still lurking around in the USA. To say there was NO demolitions is a crock of crap. Numerous eyewitnesses DID report explosions going off throughout the day on various floors, including in the basement BEFORE the planes impacted. I suppose those steel beams tossed themselves 600 feet away? Many reported the floors going as, “pop, pop, pop.” It would be better to say that demolitions were used, but you don’t know specifically HOW they were used. One FACT is abundantly clear, fire did NOT bring those buildings down because fire did not reach levels high enough to even weaken the hardened steel. I’ve got a few of Dr. Judy Wood’s books “Where Did The Towers Go?” and if your willing to at least pay the postage to send it and then ship it back once your done reading it I will send you a copy of it. Just give me an email at (nausmr@yahoo.com) Of course I will need your real name and address to do it. The Naus Lending Library. Way to go Matthew. Go Brewers! Thanks for posting the article. It’s again funny to see nameless posters acting as if they’ve been forced to purchase the book. Of course, advertising any other service or product is fine, but to “advertise” a scientific textbook documenting what happened is obviously “dodgy”. Where do these people come from? What motivates them? Well, you can get a FREE book which kinda looks at some of those questions. http://www.checktheevidence.co.uk/cms/index.php?option=com_content&task=view&id=238&Itemid=60 But hey – if it’s being given away free, it can’t be any good can it? Of course, all of this talk precisely avoids discussion of the actual evidence involved. Anonymous posters are good at that. I am a Truther and I am right and we will get a real investigation. Bet on it. I wonder if $39.95 + shipping and handling (I assume this includes your commission) would be the price to have someone explain what did happen, since you didn’t bother in this post? As for your being smart, I still haven’t heard from you about the math in Paul’s plan (which is basic addition and subtraction). I think that speaks for itself.